Maybe Amber can get one of the blow-up dolls to represent Farrah? 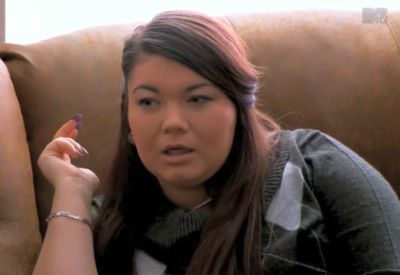 Amber Portwood is taking her time in planning her wedding to fiancé Matt Bauer, and although the Teen Mom OG couple has yet to set a date, Amber already has her wedding party picked out! In a recent interview with MTV News, Amber revealed who she wants to have standing next to her at the altar. Krystle made plenty of appearances on ‘Teen Mom OG,’ so it’s no surprise that Amber would choose her. However, Amber’s choices of bridesmaids are somewhat shocking. “Of course I want all the ‘Teen Moms,’ all the girls, I want them to be my bridesmaids,” she said. Amber has always been close to co-stars Maci Bookout and Catelynn Lowell, but has battled for years with Farrah Abraham. 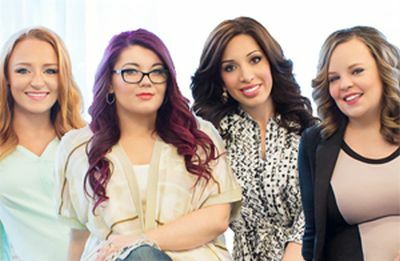 Years ago, Farrah and Amber would get in vicious fights on-set, and while Amber has calmed down in recent years, Farrah continued to start trouble with all of her co-stars while on set this season. While Farrah has had an off-and-on feud going with nearly all of her ‘Teen Mom’ co-stars for years, she recently had kind words to say about Amber. Still, Amber wants all of the ‘Teen Mom’ girls to be part of her special day. “I mean, they have to be a part of it,” she said. Amber and Matt, who became engaged last November, have not yet set a date for their wedding, but she did tell E! News that they will get married sometime in 2015. Amber’s co-star Catelynn is set to marry her longtime fiancé Tyler Baltierra in August, but she has not revealed whether or not she will have her ‘Teen Mom’ co-stars in her wedding party. Let’s hope Catelynn and Tyler make Tyler’s dad, Butch, the flower boy! Well this is what I know…there are 3 legit, very credible women on twitter that this guy tried to con. He told all 3 of them that he was a high stakes gambler, had attended a prestigious university & that he was worth millions. All 3 ladies tried to warn Amber & her brother to no avail. This guy is a straight up con artist. I hate to see Amber get messed up over this guy but she’s been warned & given proof of his outrageous lies. So good luck with that. she’s the same old loser she always was, drinking and latching on to a class 1 loser that purposely made contact with her, because of his Teen Mom obsession. She is a loser, no sympathy, I find her to be very lazy and unmotivated just as she’s always been. This won’t end well, and it’s her own fault! She shouldn’t marry him. She’s looking for a daddy figure for herself and this guy is going to abuse that. I think he’s after her mtv fame and paycheck since his own go at being a DJ failed. He’s creepy and gross. She’s makes a mistake,this guy is not with her beacause he’s so much in love,i don’t believe that at all.He’s a old creep and she was lonely….time will tell if it is the wright decision.